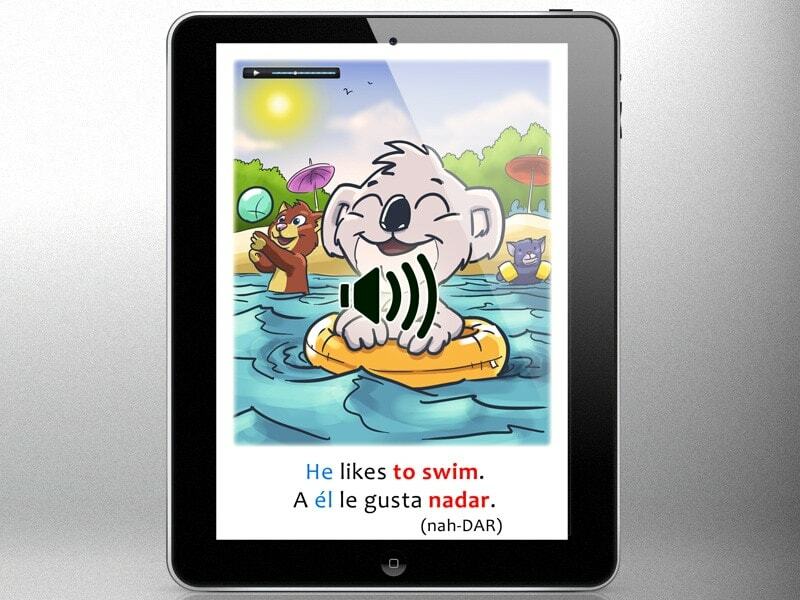 Specially designed for rapid language learning. So you can hear and pronounce the words. Read-Aloud Audio Edition. A level 2 book. Read-Aloud Audio eBook. A Level 1 book. PDF Edition. A level 3 book. A complete 32 page storybook. 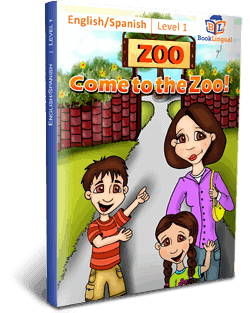 Includes read-aloud audio tracks in English and Spanish! Simply scan the QR code on the back cover, or go to special web page to listen to the book read-aloud on your phone, tablet, or computer. Each book is a 32 page paperback. Great beginning level readers with helpful color-coding and games. Click on a book title below to purchase that individual book. 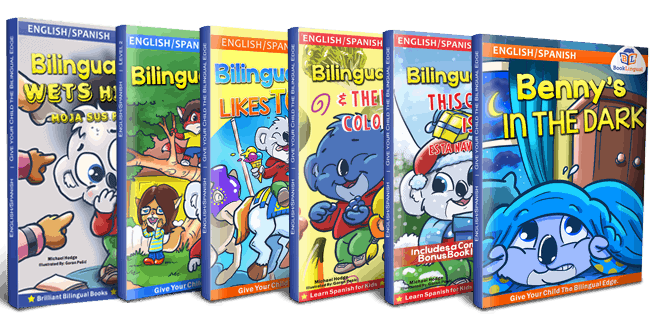 Written for PreK-3rd grade, this collection of bilingual leveled readers will develop vocabulary, grammar, and reading skills. Each paperback is 32 pages; and includes activities after the story. (English/Spanish). 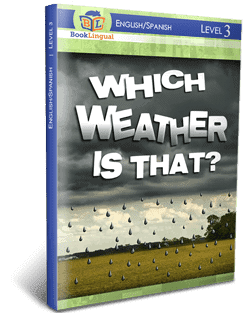 A must have for any child learning Spanish, or for bilingual reading. 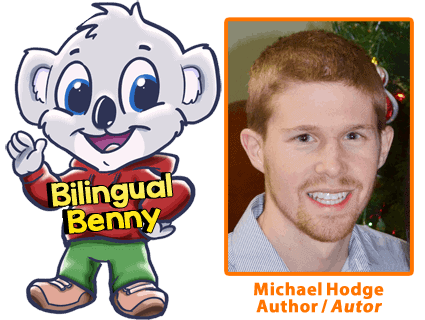 Includes all 32 of Michael’s eBooks, and his 6 Bilingual Benny paperback books. Designed for PreK – 2nd graders. 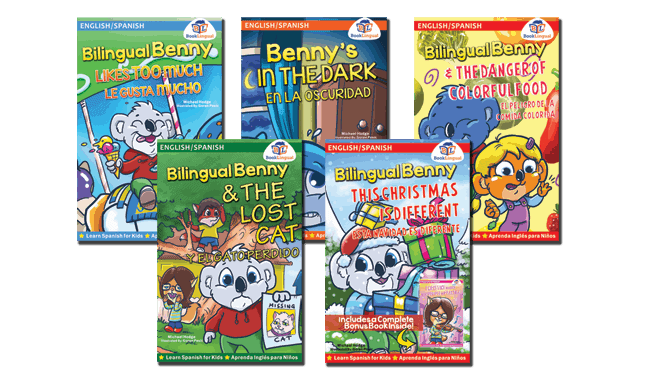 The Bilingual Benny 6 Book Set – Designed for PreK-2nd grade, this collection of bilingual leveled readers will develop vocabulary, grammar, and reading skills. 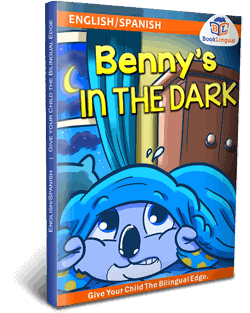 Each books is 32 pages; and includes activities after the story. BookLingual Complete eBook Collection CD (32 eBooks) – A complete bilingual leveled reading collection, with level 1, 2, and 3 books included. Each book focuses on a vocab. 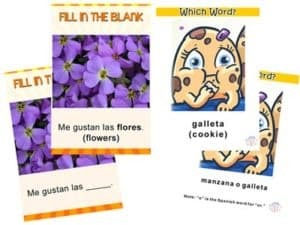 theme, grammar, and includes an activity review and talking audio for pronunciation. eBooks Can Be Read on Your Computer, iPad/Tablet, or eReader – by using our app, you can read our eBooks an an iPad, android tablet, Kindle, Nook, or your computer. When will my child receive their book order? Immediately after purchasing an item on this page, you will receive an email with a .pdf “pick-up receipt.” Please send the pick-up receipt and completed book order form (the flyer your child brought from school) – with your child to turn in to their teacher. Michael will be personally hand out book orders on the day of his visit for those ordered in advance. If you are purchasing after his visit, your child will get their books the same day they turn in payment. How will I move the eBooks from the CD to my iPad/tablet/eReader? We have included a few “How To” videos on the CD for your to follow along with, as well as a written tutorial. Basically, you will insert the CD into your computer, connect your device, download our mobile app, and then drag and drop all eBooks over. This way you can use the eBooks on different devices in your household. You can also read them immediately on a Mac or PC without any setup.